When you need to extract text from acquired PDF files, it can be a tedious and frustrating operation. If there are columns, you've got a reall challenge. If they've saved the PDF without editing capabilities, and optimized for web delivery it can be impossible. Now there's help for most situations. PDFtoTextConverter, the PDF to text conversion solution is available free of charge on StackSocial - an e-commerce platform that provides its users with discounts and special offers on software and hardware. This is one of those Apps that you never knew you needed until you spend a day using it ... If you handle a large number of PDFs daily this will save you time, without a doubt. 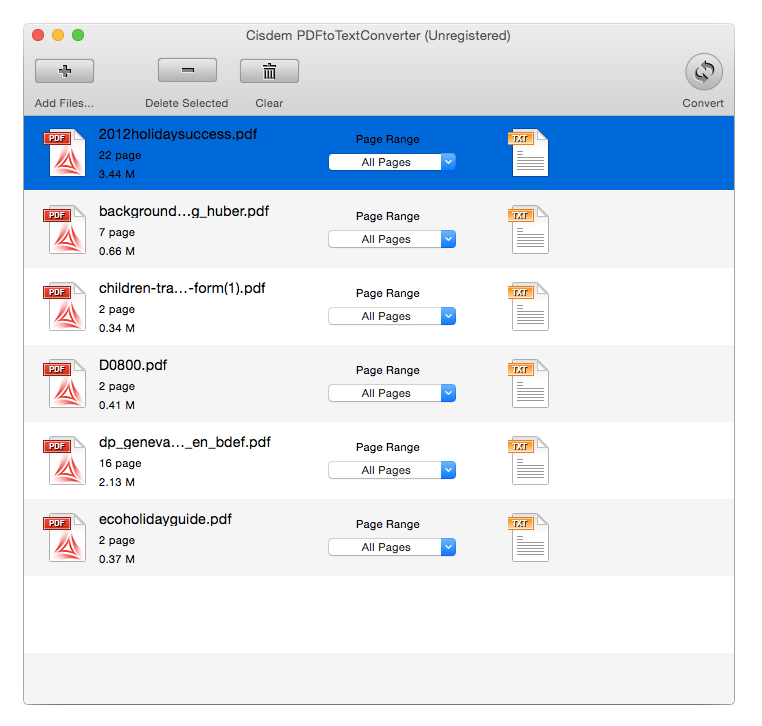 Cisdem PDFtoTextConverter easily converts PDF to editable text, while keeping MacFonts, hyperlinks, and tables in their original layout. It's easy to use and churns out high-quality .txt docs to edit and share. For users who have one page from a huge document or a large batch of PDFs, it also provides batch and partial conversion function. Madelia, Minnesota - Cisdem provides productivity and business software that helps Mac users to get their job done faster. Cisdem products include top rated software centered on PDF Conversion, PDF Management, Data Recovery, and File Management. The company is dedicated in building highly efficient Mac software that make life easier and processes simpler. All Material and Software (C) Copyright 2015 Cisdem. All Rights Reserved. Apple, the Apple logo, Mac OS X and Macintosh are registered trademarks of Apple Inc. in the U.S. and/or other countries. Other trademarks and registered trademarks may be the property of their respective owners.